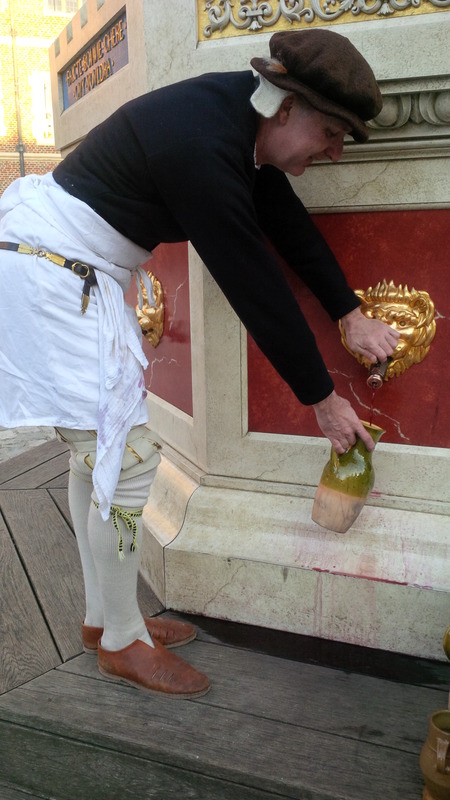 Went along to Hampton Court Palace, last night, to celebrate it’s 500th birthday, as one does, only to learn that until the end of August, Hampton Court is serving 100 GLASSES OF FREE WINE EVERY DAY, from the gorgeous wine fountain in the courtyard. 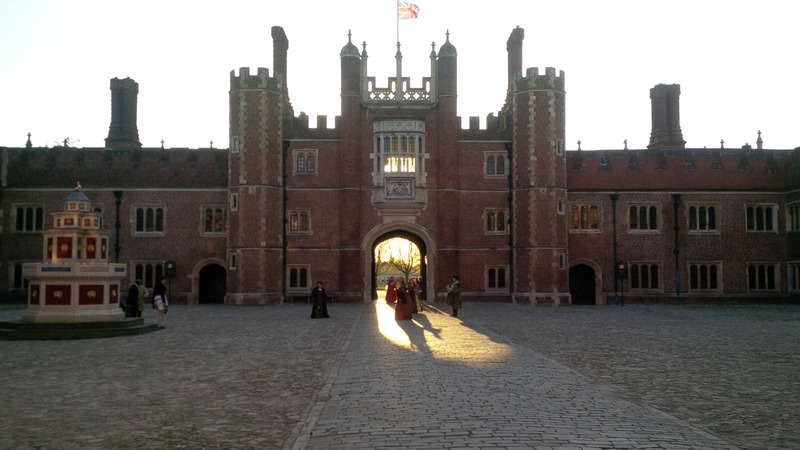 I assume most of you will now leap into cars/onto trains and rocket down the A3, but if you are still reading, or perhaps simply pacing yourself, I will try to wax eloquent about one of London’s most beautiful royal complexes. 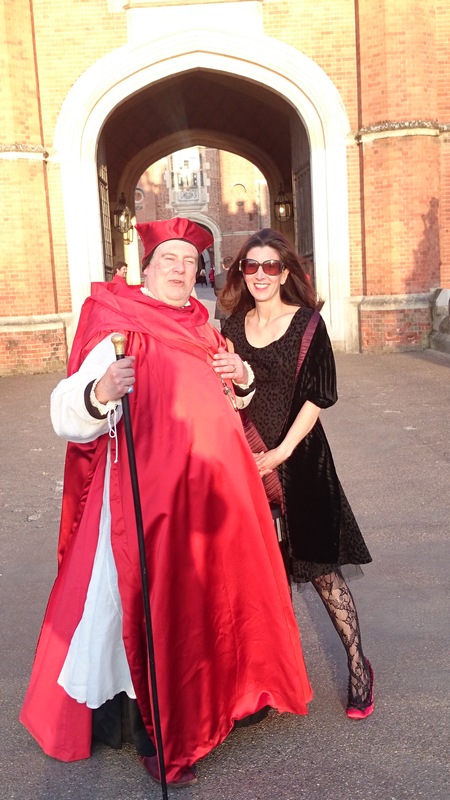 Hampton Court was transformed from a fancy home into a palace by none other than Cardinal Wolsey, a man familiar to us all thanks to Hilary Mantel’s books/plays/television sensations, 500 years ago. 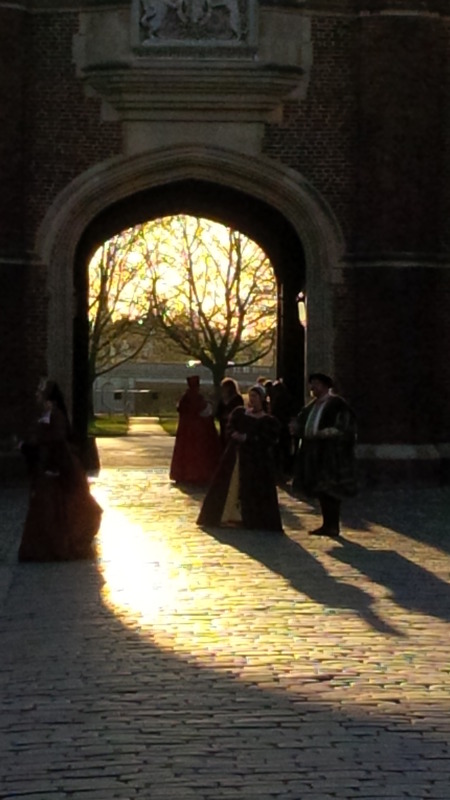 Henry VIII took a fancy to it and, well, made it his own. Nice to be king. Rebuilding, renovations, refurbishment and a gift from Queen Victoria have made this palace a favourite with the public, not least because it is stunning both inside and out. And because they are serving FREE WINE, from 4:15 pm*. 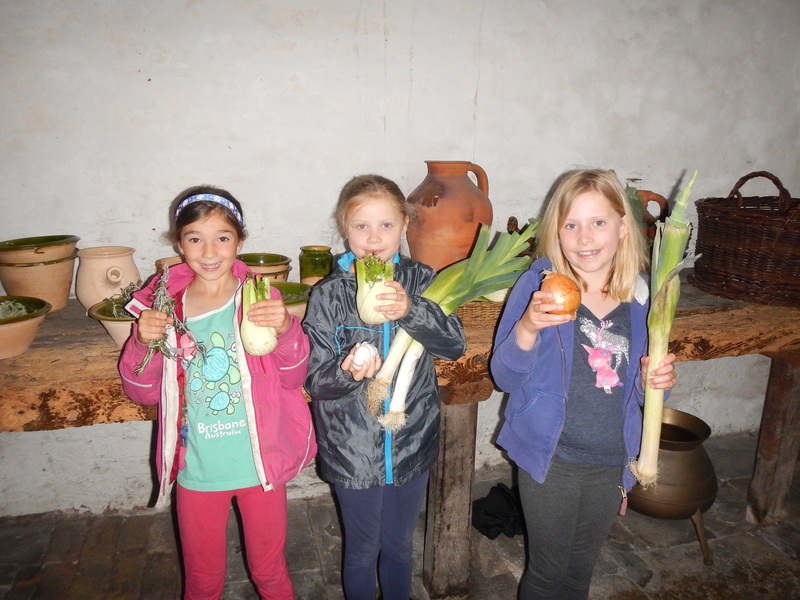 My children have played in the kitchens, gotten lost in the maze and scampered throughout the gardens countless times. Alice and I once spent a day there wearing capes. Why not? I highly recommend it. Grand halls, high ceilings, tapestries, paintings, fountains, trees with space to hide, oh yes, this place has it all. The closet, tended by Henry’s closest courier, The Groom of the Stool (of yes, that is what it means) always causes lots of laughter and then fake vomiting sounds. What people were willing to do to be close to the King. 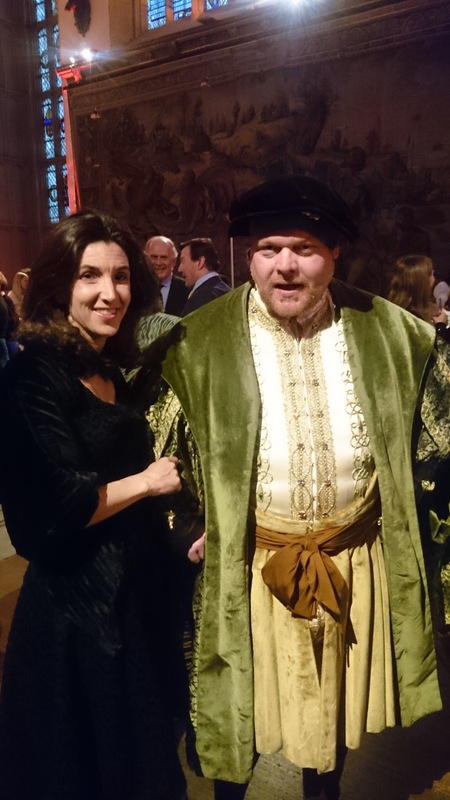 Last night, I was invited to mingle with characters throughout history (I particularly enjoyed my chat with Sir Wren, responsible for a serious revamping in late 17/early 18thc) in the Great Hall (a location the Games of Thrones set-designer must covet). 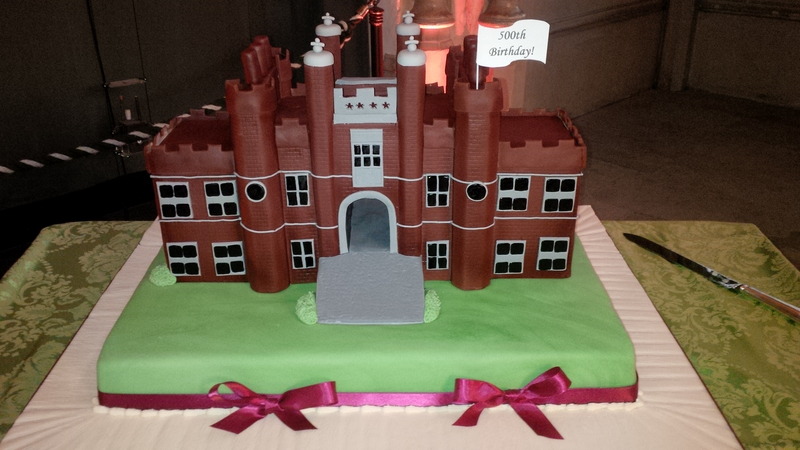 Of course I drank wine from the fountain and admired a model of the Palace as a cake. But most of all, absorbed the beauty of the place on a sunny, spring evening without throngs of other amateur photographers. 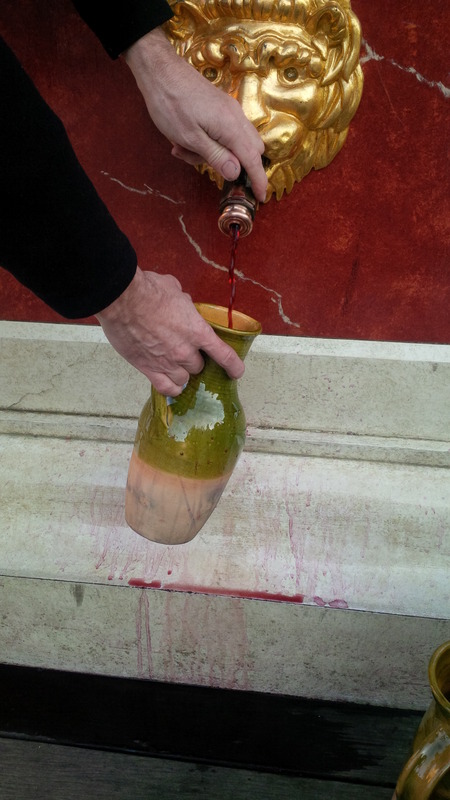 And came to the conclusion that every garden, no matter how small, deserves a wine fountain. 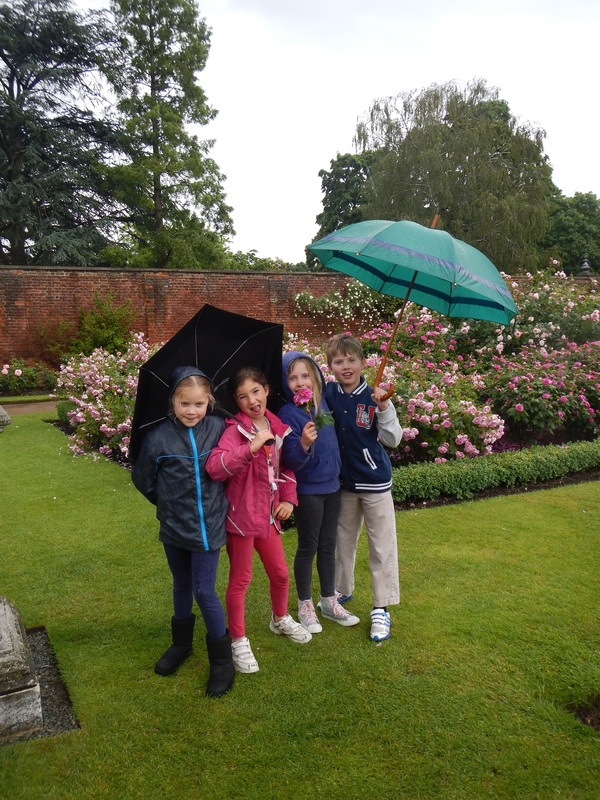 Wouldn’t mind a few of the rose beds either. And now, instead of continuing to blab on about history you probably already know, I will leave you to think of the free wine in a magnificent setting. Enjoy! *Tokens for the wine are handed out at the information desk from 3:50, and once the 100 for the day are gone, they are gone. Plan your day accordingly.